Knowing your stuff is at least half the battle when running a business. And best of all, it’s as easy as reading this eBook! 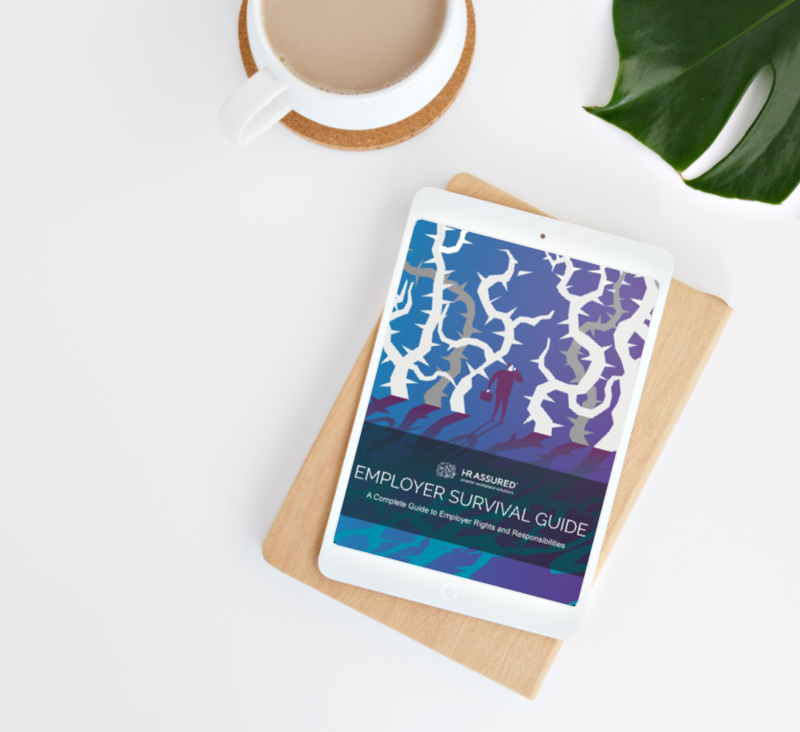 HR Assured’s Employer Survival Guide delves into the what, why and how of employment law. Don’t worry, we’ve done the sifting through piles of legal docs, Fair Work guides and all that other fun stuff so you don’t have to. In this book, we will cover everything an employer should know to keep their business afloat and on the right side of the law. The Fair Work Act is a piece of Commonwealth legislation which governs most employment law in Australia, and provides for employer rights and responsibilities. Basically, the Fair Work Act is the rule book that all Australians must abide by in this game we call The Labour Market. The National Employment Standards, also known as the NES, is a section of the Fair Work Act that contains 10 minimum standards relating to employee entitlements and employer responsibilities. These standards are the base line for all employee rights. Do you know what they are? Are Employment Contracts Compulsory? Yes. All employment relationships involve a contract: an individual is agreeing to provide labour and skill for the benefit of the business in exchange for money. But do they need to be written? Or can they be verbal? What do you need to know about Work, Health and Safety? The most important thing to remember about WHS is that businesses can be held criminally liable for getting it wrong. Find out what you need to know to ensure you meet the requirements.